One of our more 'unusual' pairings! 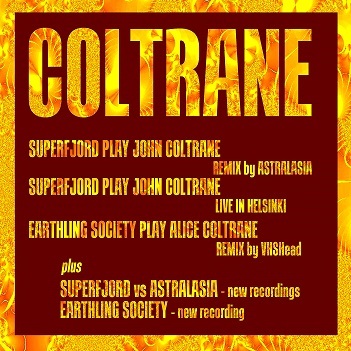 I loved Superfjord's version of John Coltrane's 'A Love Supreme' when i first heard it a year or so ago, but I couldn't see how to give it a home on FdM (except maybe on a year-end round-up compilation) until Earthling Society released a searing, extended interpretation of 'Journey In Satchidananda' on their new album, 'England Have My Bones'. I talked to Fred Laird about maybe an edited version that would fit onto the side of a 7", he offered to create a completely new version - the 'cosmic joy mix' that appears here, massaged to complement 'A Love Supreme'. 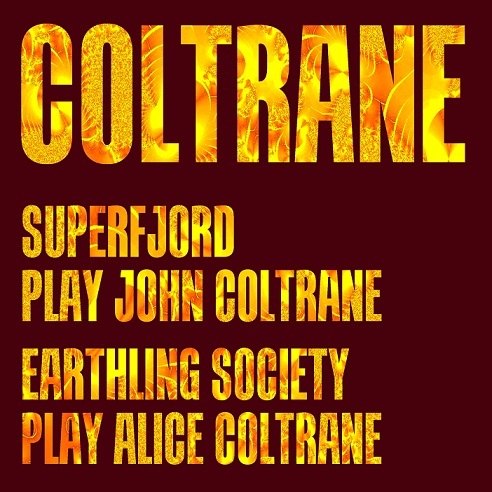 Superfjord's Jussi Ristikaarto came up with a new intro to his recording after attending a wedding in Barbados (obviously) and 'Coltrane' was born - FdM's tribute to one of the great names - and two of the great artists - in jazz. OK, so this is little off the FdM already well-beaten track, but it's joyful, uplifting music - i nearly typed 'spiritual' there, but realised i'd be tipping over into Colemanballs-territory.